Reminisce and cringe with me. Don’t worry. I couldn’t watch the whole thing either. To think my friends and I used to know every word to this. I think I have too many shoes. 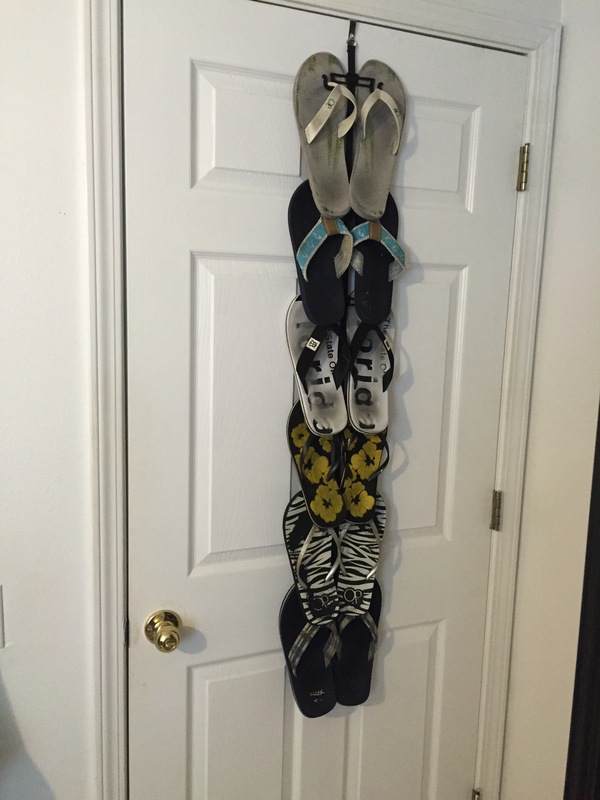 In fact, I know I have too many shoes. More importantly, I have a lot of worn out shoes. That’s 32 pairs of shoes people. Thirty-two. 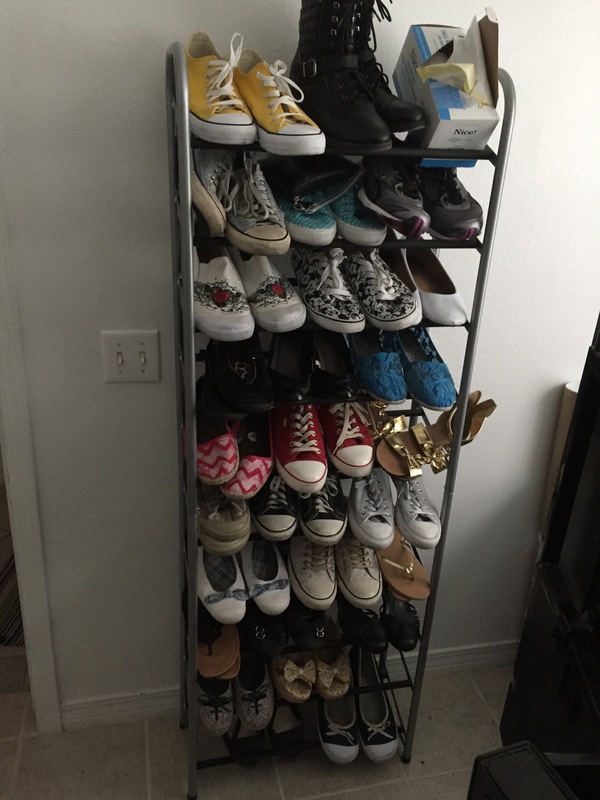 Of course as anyone starting a capsule wardrobe knows, I don’t wear half of these shoes. Just looking at the picture I can point out two pairs that don’t fit. I can’t wear all those pretty wedges at the bottom because I have loose ligaments in my ankles, and who on Earth needs to own 6 pairs of flip flops? Me I guess. As I try to set up a capsule wardrobe for summer, shoes keep holding me back. Looking through other people’s capsules don’t seem to help me much either. Un-fancy author Caroline typically uses 9 pairs of shoes in her capsules, and if you look in her most recent capsule, you’ll see she’s chosen 10 pairs. On Project333’s website there doesn’t seem to be a set amount of shoes to choose each month. It’s really up to the person. I’m at this point where I really think 9 or 10 pairs is excessive. I’ve put together a sort of capsule using polyvore and I’ve loved mixing and matching pieces. I’ve only put four pairs of shoes in that capsule. I honestly think I could be happy with this. Trying to come up with my own rules or guidelines for a capsule wardrobe is hard. Especially seeing as this is my first time attempting to do anything like this. One thing I’ve definitely decided, is just as how you don’t include workout clothes in your capsule, I’m not going to include my sneakers in my capsule. Somethings are easy to eliminate for summer. My boots for example. Others are harder. Will I use those funky pink chevron flats in summer? Should I pick out two pairs of flip flops for going to the beach and wearing around? Summer is all about the flip flops and sandals for me. Trying to come up with a good solution is hard. How about you guys? What do you do for shoes in the summer. How many pairs do you include in your capsule?